7. Transportation Update: Did You Know? Louis Amato-Gauci is joining the firm as a partner in April. Louis brings his extensive corporate commercial and transportation practice to the firm. Louis was admitted to the Ontario Bar in 2000. Louis practises in the area of corporate/commercial law, including debt and equity financings, venture capital, shareholder agreements, share/asset purchase and sale transactions, and various types of commercial contracts. He acts for small and mid-size privately owned businesses, as well as larger, public companies. Louis also regularly advises clients in the transportation, hospitality and gaming industries with all aspects of regulatory compliance. Louis appears in The Canadian Legal Lexpert Directory as a leading practitioner in the area of Transportation (Road & Rail) and is recognized in The Best Lawyers in Canada in the fields of Transportation Law and Aviation Law. 8th Annual McGill Conference on International Aviation Liability and Insurance, April 17-18, 2015, Montreal. Mark Glynn will be speaking at the conference. Rui Fernandes will also be attending. You’re a load broker. Your customer asks you to arrange to have a shipment delivered to a destination. The trucking company that you dispatch fails to deliver the load – or perhaps the load is delivered spoiled, or thawed, or in some state other than intended. Your customer (or, depending on the terms of the underlying sales transaction, the consignee, being its customer) wants you to pay for the loss. The customer is very important to you. You consider paying the amount of the loss. After all, you can then try to get your money back from the responsible carrier. Can you? Maybe. You must be duly diligent and careful in terms of assessing your legal position in this regard. Day & Ross Inc. (“Day and Ross”) provides transportation services, both as an “asset backed” carrier as well as a load broker of goods (whereby it does not undertake to perform or be responsible for the delivery of goods, but rather undertakes to arrange for a third party carrier to perform the carriage of a customer’s goods). Itzke River Farm Ltd. (the “Shipper”) wanted to ship a load of cauliflower to a customer, Les Fermes Riendeau (“LFR”). The Shipper engaged Day & Ross for this purpose. Day & Ross was unable to perform this carriage service, so it “brokered” the load to a carrier, Transport MRTC Inc. (“MRTC”). At the point of delivery at destination, the load of cauliflower was found to have spoiled in transit and was rejected by LFR. The lost value of the shipment was $21,000. MRTC issued a freight invoice to Day & Ross for the carriage. The invoice contained a notice that the amount was payable to a “factoring” company, 2020494 Ontario Inc. doing business as RBA Financial Group (“RBA”). Consistent with common practice in the industry, RBA had purchased certain invoice “receivables” from MRTC for a fee. The invoice given to Day & Ross accordingly stated that MRTC had outsourced its account receivable to RBA, directing Day & Ross to make payment of the invoice to RBA. In fact during the material time frame Day & Ross had engaged MRTC to act as a carrier on a total of four occasions, including the subject shipment. The freight charges owing on the other three shipments were likewise assigned to RBA. Day & Ross wanted to have the Shipper indemnified for the loss. It attempted to secure payment for the value of the spoiled load from MRTC’s liability insurer. (*2). MRTC however failed to provide Day & Ross with information and coordinates pertaining to its road haulage liability insurer. Day & Ross, in fact, advised RBA that a claim had been filed for the spoiled load, requesting that RBA obtain and provide the sought after insurance information. Not achieving any success in this regard, Day & Ross advised MRTC that if Day & Ross did not receive valid insurance information, it would have no choice but to pay the Shipper directly for the loss and that Day & Ross would then deduct the value of the spoiled load from whatever freight charge amounts were owed to MRTC for the four shipments. Day & Ross in fact proceeded to pay the amount of the spoiled load to the Shipper and withheld payment of the freight charges owed to MRTC, claiming a “set-off” in order to account for the loss that Day & Ross incurred by the payment to the Shipper. RBA sued Day & Ross for $18,100, being the amount of the freight charges invoiced by MRTC for the carriage of the four shipments. Day & Ross defended on the basis of “set-off”. The judge in first instance found for RBA, finding that Day & Ross had “no right of set-off” and that it, in fact, had had no legal obligation to pay the Shipper for the value of the spoiled load. Day & Ross filed an appeal. It submitted that it had a right of set-off against the amount owing to RBA because Day & Ross had an obligation to pay the Shipper’s claim and it was accordingly entitled to contribution and indemnity for such payment from MRTC. Alternatively, Day & Ross argued that, as RBA took an assignment from MRTC, RBA was in the same situation as MRTC would have been prior to such assignment and that, accordingly, Day & Ross could seek contribution and indemnity against RBA and that it could apply the “set-off” against all four invoices. RBA, in turn, submitted that Day & Ross had no set-off rights as alleged because there was no privity of contract between the Shipper and Day & Ross since Day & Ross acted in the circumstances as a load broker. RBA contended that, as a load broker, Day & Ross had no obligation to pay the Shipper in the circumstances of the case: Day & Ross was not a carrier legally responsible for the safe delivery of the shipment, and there was no suggestion that Day & Ross had been negligent in its selection of MRTC as the carrier so as to attract liability in its limited role as a load broker. RBA further argued that Day & Ross had no set-off rights when it paid the Shipper’s claim, since at the time of such payment it had not taken an assignment from the Shipper of the claim that the Shipper would have had against MRTC. Alternatively and in any event, RBA asserted that, if there were any set-off rights at all in favour of Day & Ross, they were limited to the amount of the freight invoice for the affected shipment only being $2,100. 2. There was no legal obligation for Day & Ross to pay the Shipper for the value of the lost load. The Shipper had no legal recourse against Day & Ross for breach of a contract of carriage or for that matter, on the basis that Day & Ross had acted negligently in the selection of MRTC as the carrier. The judge found that Day & Ross paid this claim to maintain good customer relations with the Shipper. 3. The Court noted that while it was understandable that Day & Ross would want to take care of the Shipper, “it should have taken an assignment of the claim that the Shipper had against MRTC”. However, Day & Ross did not take an assignment and, accordingly, it had no rights of set-off against MRTC. 4. The Court did not accede to Day & Ross’s submissions to find an implied assignment in the circumstances. There was no such implied assignment on the facts of the case arising simply from the payment of the loss to the Shipper. Load brokers must be wary when paying out claims to their customers. If they are not legally liable to do so (i.e. where they are obligated to make good on losses either as a contracting carrier, or where they, in any event, promised to indemnify the customer), the load broker must arrange for an “assignment” to be given them of the shipper’s rights of claim as against a carrier. If legally liable, the law will presume a basis to seek ‘contribution and indemnity’ from the carrier. The “assignment” mechanism referred to above is simply a transfer of legal rights on a contract (i.e. that is evidenced by a bill of lading between the shipper and the carrier) to the load broker. Sufficient legal “consideration for such an assignment would, of course, be by way of the broker’s payment of the loss to the shipper. At any rate, load brokers are recommended to get legal advice as facts and circumstances will change from case to case. The purpose of this article is to raise awareness as to the considerations and possibilities at play, and is not to give fixed advice to be applied in a particular situation. (*1) 2015 ONSC 1855 (CanLII) (*2) This is a common practice or service offered by load brokers. Often times they will lobby the carrier considered to be responsible for a loss for payment (or its liability insurer), as a service for the shipper customer. (*3) There was, of course, a contract between Day & Ross and the Shipper, but this was an agency contract for the former to arrange carriage for the latter. This was, however, separate and distinct from the carriage contract being Day & Ross’s purported basis for claiming a set-off. It should be noted that sometimes brokers accept ‘carrier-like’ liability for cargo loss or damage, even though they will not be issuing a bill of lading or undertaking a carriage mandate; however, this is a function of and requires specific contract wording in a given case. In this case, there was no such agreement between Day & Ross and the Shipper. Transport Canada announced on March 12th proposed new federal regulations for a safer standard of rail tank car. This announcement coincided with a House of Commons committee tabling recommendations for improving safety relating to the transportation of dangerous goods. The importance of these initiatives is put in stark relief by a string of recent derailments involving the carriage of crude oil. Over the course of the last month, there have been four incidents in Canada and the United States, resulting in major fires and the pollution of waterways and, in some cases, forcing evacuations. On November 18, 2013, The House of Common’s Standing Committee on Transportation, Infrastructure and Communities received a request from the Minister of Transport to review and report on the Canadian regime for the safe transportation of dangerous goods and the role of safety management systems across the transportation system. A final report has now been published containing the Committee’s findings and recommendations concerning Transport Canada’s legislative framework for, and oversight and enforcement of the transportation of dangerous goods regime and safety management systems requirements for the Canadian transportation system. In formulating its recommendations, the Committee considered testimony and written submissions from rail, air, marine and road transportation industry stakeholders. The committee’s report has been published online. (*3) The report makes 10 recommendations over half of which are aimed directly at the rail carriage industry. The first key recommendation concerning the rail industry is that Transport Canada “ensure that it has an adequate number” of inspectors for its oversight role over dangerous goods and overall rail safety. The second key recommendation is that Transport Canada “ensure that all Class 111 tank cars used to transport flammable liquids meet enhanced protection standards that significantly reduce the risk of product loss when these cars are involved in accidents”. The third key recommendation is that “to the greatest extent possible, Transport Canada ensures that any actions taken by Canada regarding the retro-fit or replacement of Class 111 tank cars are harmonized across the Canada-U.S. border due to the North American character of the railway system”. The fourth key recommendation is that “Transport Canada implement a comprehensive reform of the liability and compensation regime for rail to ensure that victims and their families obtain the compensation they deserve, that the polluter-pays principle is upheld, and that taxpayers are not forced to pay for compensation, remediation and reconstruction costs in the event of a rail disaster”. Finally, it is recommended that “Transport Canada require the use by railways of on-board voice and video recordings as part of a company’s safety management system, consistent with the Transportation Safety Board’s recommendation”. On March 2nd, 2015 the Federal Court of Appeal released its decision in Skechers USA Canada Inc. v. Canada (Border Services Agency), 2015 FCA 58 upholding seven decisions of the Canadian International Trade Tribunal which upheld the decisions of the Canada Border Services Agency ruling that research, design & development expenses paid by a Canadian subsidiary to its U.S. parent must be included in the price “paid or payable” for shoes imported into Canada. When goods are imported into Canada, their value for duty is determined by the “transaction value” of the goods coming into Canada. The transaction value of goods is determined by ascertaining the price paid or payable for the goods when the goods are sold for export to Canada and adjusting the price paid. The legislation provides that adjustment shall include engineering, development work, art work, design work, plans and sketches undertaken elsewhere than in Canada and necessary for the production of the imported goods. The core business of the Skechers Canada and of its sole shareholder Skechers USA is the sale of Skechers-brand footwear. Skechers USA designs the various styles of footwear, which are manufactured offshore by third parties. Skechers Canada purchases footwear from Skechers USA for re-sale in Canada. When Skechers Canada purchases the goods from Skechers USA, the transfer price includes: the factory price paid by Skechers USA to the manufacturers; the cost of shipping the goods to the United States and warehousing them in Skechers USA’s distribution centre; and an arm’s-length profit. Skechers Canada also makes payments to Skechers USA pursuant to a Cost-Sharing Agreement (“CSA”). Under the CSA, Skechers Canada provides compensation for costs that Skechers USA incurs for activities necessary to the development and maintenance of the Skechers brand and to the sale of footwear. Such activities include research, development, design, advertising, and marketing. The amount that Skechers Canada pays under the CSA is a percentage of Skechers USA’s total costs for these activities. Each year, this percentage is determined according to a formula based on the ratio of the appellant’s anticipated operating profit to the total anticipated operating profits of all participants to the CSA. The payments at issue in the appeal before the Federal Court – the R&D payments – consist of a portion of the payments made by Skechers Canada under the CSA; only costs relating to research, design, and development are included. Skechers USA undertakes significant research, design, and development activities to create its footwear. Each season, the process involves researching trends to develop themes and concepts, which are translated into designs for its various product lines. These designs are eventually developed into prototype samples. Of the 40,000 to 50,000 prototype samples that are produced each year, approximately 5,000 become “successful” footwear styles available for sale. The appellant usually markets approximately 1,700 of these styles. The price that Skechers USA pays to the manufacturers of the successful styles includes compensation for the prototypes, moulds, samples, etc. leading to the production of these styles. However, this price does not include compensation for costs incurred by the manufacturer relating to the unsuccessful styles; such compensation is provided through a separate payment. As a result, the transfer price Skechers Canada pays to Skechers USA for the goods includes the costs of the moulds and samples leading to the production of the styles which are being imported. However, this price does not include the costs of the moulds and samples of unsuccessful styles and styles not imported into Canada. It also does not include general research and design costs (such as the salaries of Skechers USA’s research and design staff). Skechers had relied upon a previous decision of the Tribunal, Simms Sigal & Co. Ltd v. The Commissioner of the Canada Customs and Revenue Agency (27 May 2003), AP-2001-016 (CITT) [“Simms Sigal”] in support of its argument. However, the Tribunal distinguished that case on the basis that the payment at issue in Simms Sigal – a distribution fee – was tied to the marketing and sale of the goods after their importation and not to their production. The Federal Court of Appeal found that the Tribunal’s conclusion that the entire research, design, and development process was required to produce the goods in issue was one that was reasonably open to it based on the evidence. It accordingly dismissed the appeal. This article provides an expansion upon Rui Fernandes’ article introducing the Cape Town Convention on International Interests in Mobile Equipment (*1) and the related Aircraft Protocol (*2) published in the December 2012 Fernandes Hearn LLP newsletter. The Cape Town Treaty is an international treaty, which aims to standardize transactions involving movable property. The Treaty and the Aircraft Protocol came into effect in Ontario on April 1, 2013, and also in British Columbia, Alberta, Saskatchewan, Quebec, Newfoundland, Nova Scotia, and Northwest Territories. The Treaty creates international standards for registration of ownership, security interests, leases, and conditional sales contracts. It provides a variety of remedies for default. A significant feature of the Cape Town Treaty is that it provides self-help remedies whereby creditors can make use of the remedies without application to the courts for approval, unless local laws require otherwise. (*1) Convention on International Interests in Mobile Equipment, 16 November 2001, 2307 UNTS 285 (“Treaty”). (*2) Protocol to the Convention on International Interests in Mobile Equipment on matters specific to aircraft equipment, 16 November 2001 (“Protocol”). (*3) Donal Gallagher, Registry Official at Aviareto Limited, “Procuring the discharge of problem or improper registrations on the International Registry – expediting the process” (16th Annual Global Corporate Aircraft Transactions Forum, New York, 13-14 June 2013). (*4) Supra note 1, articles 44(1) and 44(3). (*5) Unreported, Irish High Court December 19, 2012. (*6) Unreported, Irish High Court (Commercial Division) April 28, 2013. (*7) Supra note 3. (*8) Ibid. (*9) Supra note 1, articles 29 and 60. (*10) International Registry of Mobile Assets – “www.internationalregistry.aero/ir-web/ (*11) Canadian Bar Association, “Turning Cape Town Into Practice” (National Air and Space Law Conference, 2 February 2015). (*12) Ibid. (*13) Supra note 1, article 3. (*14) Supra note 1, article 7. (*15) Supra note 1, article 11. (*16) Vadim Linetsky, “Economic Benefits of the Cape Town Treaty” (2009) Northwestern University: Illinois. (*17) Ibid. (*18) Supra note 1, article 8. (*19) Supra note 1, article 10. (*20) Supra note 2, article 9. (*21) Toronto Lawyers Association, “A practical guide to the Cape Town Convention” (2009). (*22) Ibid. In 2005, the Ontario government enacted the Accessibility for Ontarians with Disabilities Act, 2005, SO 2005, c. 11 (the “Disabilities Act”). The purpose of the Disabilities Act is to achieve accessibility for Ontarians with disabilities with respect to goods, services, facilities, accommodation, employment, buildings, structures and premises. • Accessibility Standards for Customer Service, O Reg 429/07 (the “CSS”); • Exemption from Reporting Requirements, O Reg 430/07 (the “CSS Exemption Regulation”); and • Integrated Accessibility Standards, O Reg 191/11 (the “IAS”) (hereinafter collectively referred to as the “Regulations”). The Disabilities Act and the Regulations requireprivate organizations with 20 or more employees to file accessibility compliance reports (“Accessibility Reports”). Accessibility Reports contain questions that probe whether the filing organization is in compliance with the requirements of the Disabilities Act and the Regulations. Examples of the steps required to achieve compliance with the CSS include, but are not limited to: • The organization must establish policies, practices and procedures governing the provision of its goods or services to persons with disabilities (i.e. a mission statement of sorts). Organizations with more than 20 employees in Ontario shall prepare a document describing the aforementioned policy that is available upon request and give notice that such a document is available (i.e. by posting such information on the organization’s website). • The organization must ensure that on premises it owns or operates, a person with disability is permitted to be accompanied by a guide dog or other service animal. Organizations with more than 20 employees in Ontario shall prepare a document describing the aforementioned policy that is available upon request and give notice that such a document is available (i.e. by posting such information on the organization’s website). Examples of the steps required to achieve compliance with the IAS include, but are not limited to: • Organizations with 50 or more employees in Ontario shall create a multi-year accessibility plan, which outlines the organization’s strategy to prevent and remove barriers and meet its requirements under the IAS (i.e. a mission statement of sorts). The aforementioned multi-year accessibility plan must be posted on the organization’s website. • The organization must provide training to employees on the IAS and the Human Rights Code, RSO 1990, c H. 19 as it pertains to persons with disabilities. Organizations with 50 or more employees in Ontario shall keep training records with respect to same. The Application of the Disabilities Act and the Regulations to private organizations is broad. For example, the CSS and the IAS apply toevery organization that provides goods or services to members of the public or other third parties and that has at least one employee in Ontario. An exemption to the application of the CSS is carved out in the CSS Exemption Regulation, whereby providers of goods or services that have fewer than 20 employees are exempted from the requirement to file accessibility reports. An analysis of the relevant case law pursuant to the Disabilities Act and the Regulations, reveals that: • The Disabilities Act is being enforced. • Directors of the Accessibility Directorate of Ontario (the “ADO”) have the jurisdiction and authority to issue orders in respect of the Disabilities Act and its ancillary regulations. • The ADO will send a letter to an organization to advise them of their requirement to file an Accessibility Report by a certain date (the “Letter”). It appears that before any punitive steps are taken by the ADO (i.e. orders and fines), the organization is offered an opportunity via the Letter to achieve compliance. • The ADO issues orders and fines for non-compliance. Did you know that the Honourable Lisa Raitt, Minister of Transport, addressed the Economic Club of Canada on March 12, 2015 on the vital contribution of women to Canada’s transportation industry and to our economic success, both domestically and globally? Minister Raitt focussed on the changing role of women working in transportation-related fields and shared her personal experience as Minister of Transport and previously, harbourmaster and CEO of the Toronto Port Authority. She highlighted the evolving needs of the transportation sector and the changes reflecting the growing demand for workers whose value are based on training and skills rather than gender or strength. Women can then demonstrate their skills, intelligence and ability in the industry. Minister Raitt also used the opportunity to discuss the vital role Canada’s transportation sector plays in our growing economy as the demand to get Canadian natural resources to port increases. In July 2014, Transport Canada hosted the first Roundtable on Women in Transportation in Halifax, which brought together women leaders in transportation from both the public and private sectors. Transport Canada is also participated in the Asia-Pacific Economic Cooperation’s “Women in Transportation” Task Force to advance women’s roles in the transportation sector. On March 8, 2015, Canada celebrated International Women’s Day and the theme of “Strong Women. Strong World. Improving Economic Opportunities for All” honouring the contributions women both in Canada and around the world. Did you know that, on March 19, 2015, following a roundtable with the Canadian Trucking Alliance, the Minister Raitt, Minister of Transport, announced that Transport Canada supports two safety technologies: electronic logging devices (ELDs) and electronic stability control systems (ESC)? Stability control systems have been mandatory on all new cars and light duty vehicles sold in Canada and the U.S. since 2011 and have proven safety benefits. Stability control systems are a crash avoidance technology found on new cars and light duty vehicles that have proven safety benefits by helping to reduce motor vehicle collisions by improving driver control, preventing rollovers, and enhancing directional stability. ELDs track and improve the accuracy of recorded driving times to keep drivers within regulated allowable driving hours and reduction of fatigue. Further, ELDs allow drivers to keep track of their ours without the need to maintain paper log books and time enforcement officers will spend less time verifying compliance with hours of service regulations. As part of the regulatory development process, Transport Canada advises that it is committed to aligning vehicle requirements, including ELD and stability control systems with the U.S. in order to support economic growth, trade, and shipping on both sides of the border. Did you know that, on March 14, 2015, the SmartATLANTIC Saint John Inshore Weather Buoy was deployed for the users of the Port Saint John, New Brunswick and the Bay of Fundy? This buoy technology will increase the security, safety and efficiency of Canada’s shipping industry, as well as increase marine traffic and trade through the Atlantic Gateway port. 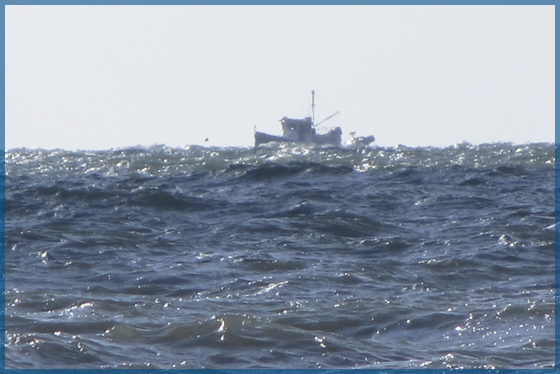 This technology provides online access to real-time weather and directional wave information by the marine transportation community, commercial fishers, recreational boaters, meteorologists, researchers and scientists. This is the first buoy of its type to be deployed in the Bay of Fundy supporting port operations, as well as safety of life at sea. The bright yellow high-tech “smart buoy” was launched at Port Saint John and immediately collected meteorological and oceanographic information to be used to generate high-resolution weather, wind and seastate forecasts. This data will help keep mariners safe and supports increased production and reduction of moving costs for goods moving through Port Saint John, Irving Oil and other facilities. The smart buoy guides marine pilots, terminal operators and shipmasters in the planning and decision-making for scheduling port arrivals, departure times; and loading, discharging cargo. This Ocean Data Acquisition System buoy is manufactured in Canada and is an important new weather forecasting tool and platform for scientific research/education. By approximately June 2015, the public will be able to access the weather forecasts free of charge by visiting www.smartatlantic.ca/saintjohn – a website hosted by Memorial University of Newfoundland’s Centre for Applied Ocean Technology. In 2014, Port Saint John handled 834 vessels and 23.94 million tonnes of cargo and over the past five years, has welcomed over one million cruise ship passengers. Saint John marine pilots, employed by the Atlantic Pilotage Authority, carry out about 1,800 transfers annually. The total project cost for the smart buoy is approximately $417,000 with the Government of Canada contributing up to $185,000 through the Gateways and Border Crossings Fund. Other project partners include: the Province of New Brunswick (contributing $91,000), the Saint John Port Authority (contributing $91,000), Amec Foster Wheeler (providing in-kind services of $30,000), Canadian Marine Pilots’ Association (providing in-kind services of $8,000), and the Canadian Coast Guard (providing in-kind services of $12,000). The buoy is owned by the Institute for Ocean Research Enterprise based at Dalhousie University. The Atlantic Pilotage Authority, Canaport LNG, Irving Oil and the Saint John Port Authority will equally fund the annual operating and maintenance costs. Technical support will be provided by Amec Foster Wheeler and the Centre for Applied Ocean Technology at the Marine Institute at Memorial University of Newfoundland.